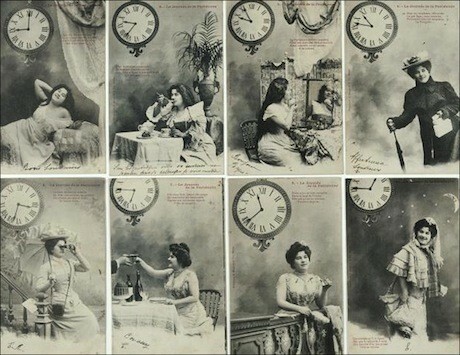 The Belle Epoque! It’s an era that makes Parisians dream, the moment their city became a global star. 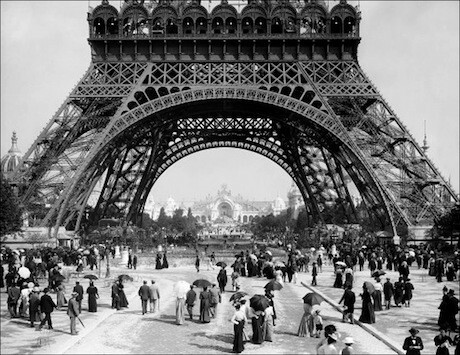 From the Eiffel Tower to haute couture, from Impressionism to cinema, French culture sparkled. The exhibition Paris 1900 at the Petit Palais takes you back to the time, with a stunning array of clothing, posters, films, decoration, paintings and sculpture. 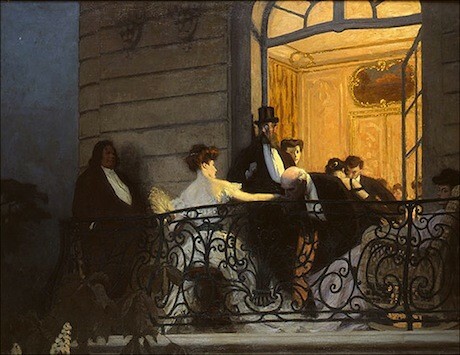 All images courtesy Paris 1900/Petit Palais. 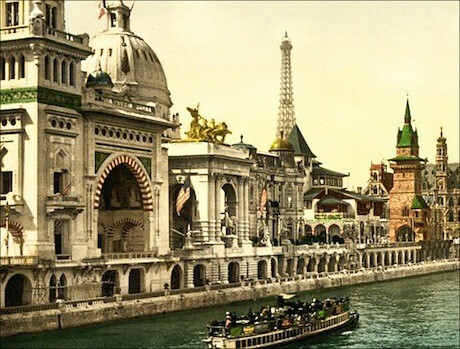 In 1900, this was the world’s most famous city. That year it played host to 51 million tourists, many of whom arrived at brand-new train stations (Gare de Lyon, Gare d’Orsay and Gare des Invalides). All these visitors were keen to dine at Maxim’s, see the cancan girls in Montmartre and maybe risk having a little sip of absinthe. They climbed the Eiffel Tower, people-watched at the opéra and gawked at courtesans driving by in the Bois de Boulogne. Above all, they wanted to see the Parisiennes—the women who inspired art by the likes of Manet and Renoir. With the Paris fashion industry in overdrive, the chic of les Parisiennes was world famous. Not only does the show detail how they dressed, it also shows you where they worked and what they did for fun. Then as now, its women were the city’s theme—the sparkling, sophisticated symbol of its allure. The show’s entertaining presentation of these Parisiennes features sharp caricatures as well as charming portraits. It covers their choice of hats, how they held their skirts . . . everything. This era also gave birth to art nouveau, so there is spectacular architecture, glass and graphic design. The famous names on show include Guimard, Gallé, Lalique, Majorelle and Alphonse Mucha. Assembled from museums all over France, its survey of visual art includes painting and sculpture from Cézanne to Maillol. There’s also a huge trove of goodies from theatre, music hall and the earliest days of film. 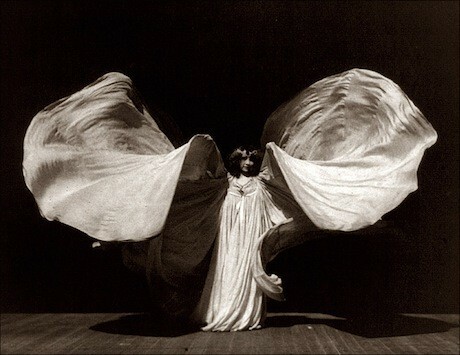 You can actually watch Sarah Bernhardt act or hear the same singer Toulouse-Lautrec once sketched. Even the mass of costumes, props and photographs is fascinating. In sum, this is a Belle Epoque best-of. It lets you meet the greatest beauties in Paris, pay a visit to the era’s trendiest shops and restaurants—even get a peek inside its upscale brothels. Just visit early in the day so you don’t miss a thing. 1. Albert Guillaume’s wonderful “Rue de Paris” caricature series. 2. 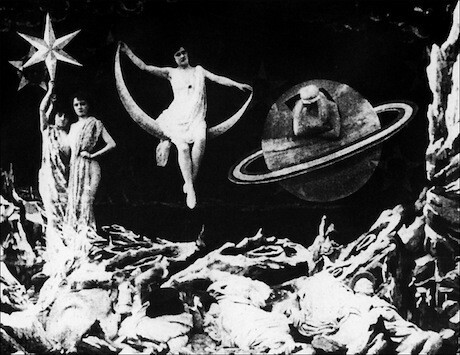 Georges Méliès’s silent film A Trip to the Moon (16 minutes), which is shown continuously in a special screening room. 3. Two photo series (“The Seven Sins” and “A Parisienne Gets Up in the Morning”) made by Léon and Lévy; digitized and blown up big, these are fascinating. 4. Albert Edelfelt’s iconic painting Le Jardin du Luxembourg (The Luxembourg Gardens), 1887. 5. The breathtaking pink silk ball gown by Jacques Doucet. 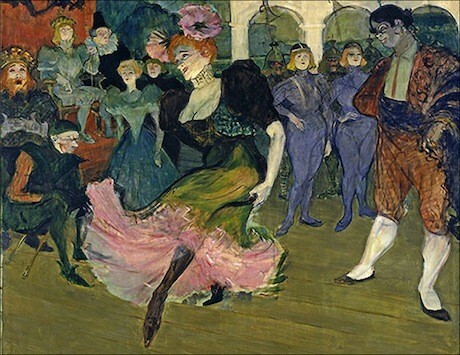 Paris 1900 runs until August 17, 2014, at le Petit Palais.